These are from earlier this year. Bunny sightings are fewer nowadays, usually at dusk or very early in the morning. When winter sets in, I’ll be putting out food for them. 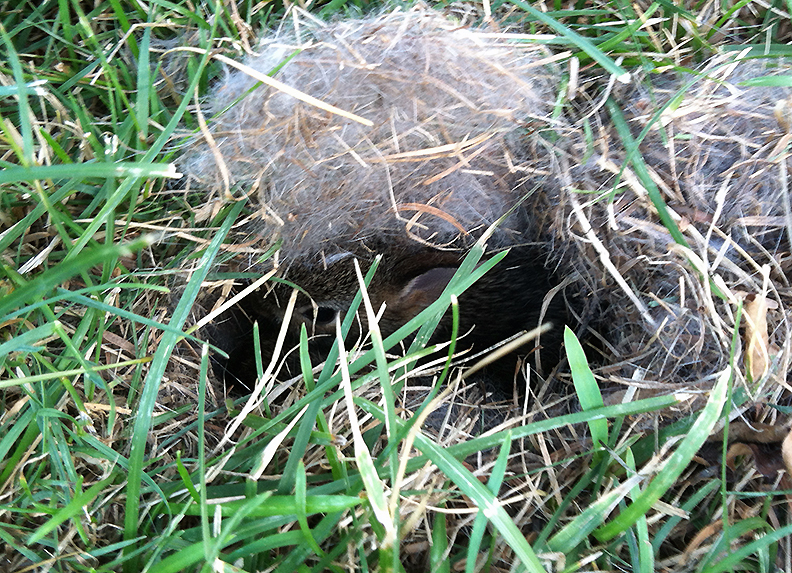 On July 11, we confirmed a bunny nest in the middle of our yard. 🙂 I saw mom covering it in the morning and it seemed like an odd spot, but she could watch from the raspberry patch nearby. 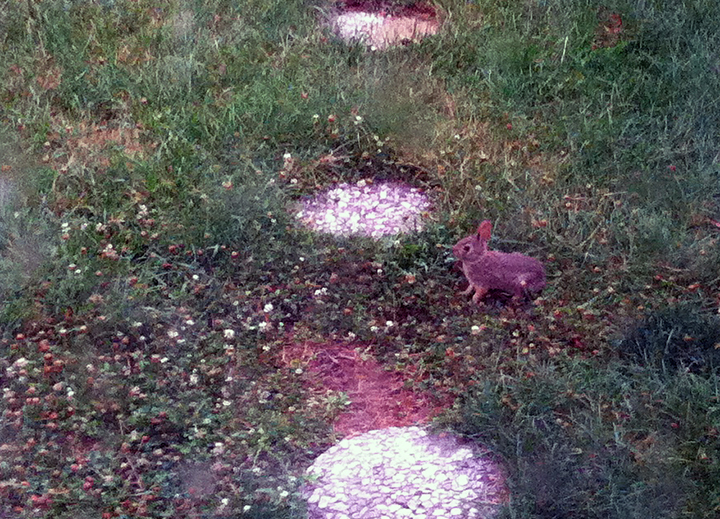 July 12, above: One of our yard’s baby bunnies. We didn’t know how many there were; we saw a pair chasing each other around a tree the other day but otherwise had seen only one at a time. The circle is one of three pavers leading to the birdbath, and the new nest was a couple of feet beyond; no babies had been spotted from there yet. July 14, above: Well hi there! We very carefully pulled back the nest covering with the tip of a trowel, peeked in at our new neighbors (we saw two) and put their roof back the way we found it, although likely not to mom’s exacting standards. Within a few hours they left the nest. 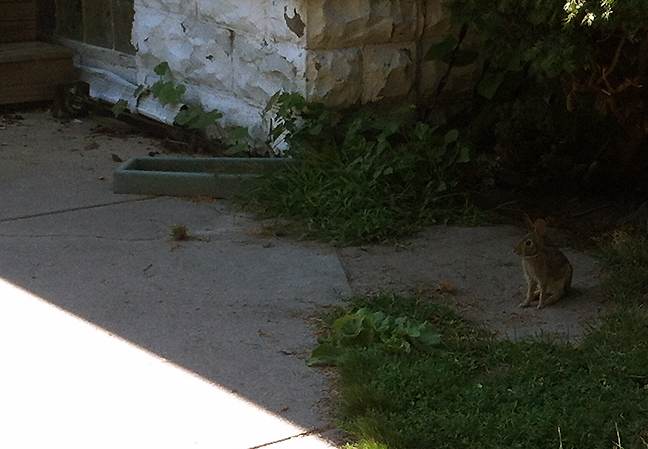 One hopped a few yards to eat greens under the car, then just farther to mom in the neighboring driveway. As we were watching them, sibling bolted out of the nest in a different direction, paused, then bolted into the raspberry patch. We gently checked a couple of days later to verify they were out for good. August 1, above: I hit the front walk to the porch just as one of our “teenage” bunnies emerged from the bush, about 7 steps away.